Nightingale College was approved to join a special group of 1900 colleges and universities to help serve the National Guard, reserves, new recruits, and veterans, in addition to more than 500,000 active-duty servicemembers. The College affirms its commitment to help assist the special conditions faced by military students who want to obtain a college education. What is the SOC Consortium? 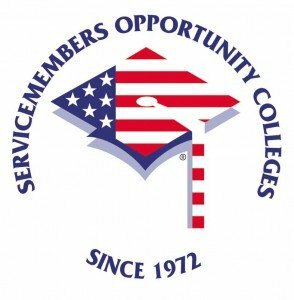 The SOC Consortium, comprised of 1,900 college and university members, enrolls hundreds of thousands of servicemembers, their family members, and veterans annually in associate, bachelor, and graduate-level degree programs on school campuses, military installations, armories within the United States and overseas, and through distance learning and learning assessment. These voluntary programs are a significant joint venture and require strong commitment and coordination among academic institutions and agencies, the Military Services, including the Coast Guard, and the Office of the Secretary of Defense (OSD). seeking to strengthen liaison and working relationships among military and higher education representatives. As a member of the SOC, the College applied and was approved for the Yellow Ribbon program. The Yellow Ribbon program makes additional financial aid funds available for qualified candidate’s education without an additional charge to the GI bill entitlement. The College voluntarily entered into the Yellow Ribbon Agreement with VA. VA matches the amount selected by the College and issues payments directly to the institution. Nightingale College thanks all Servicemembers for their sacrifice. The College is dedicated to doing what it can to help aid Servicemembers in their nursing education goals. The College is finalizing the Department of Defense (DoD) Memorandum of Understanding (MOU), after which, the College will be able to offer military students Tuition Assistance. Our kindest regards go to all our Servicemembers and their families. When You Should Attend a Nursing School in Utah With a Higher Cost Happy Nurses Week 2014!